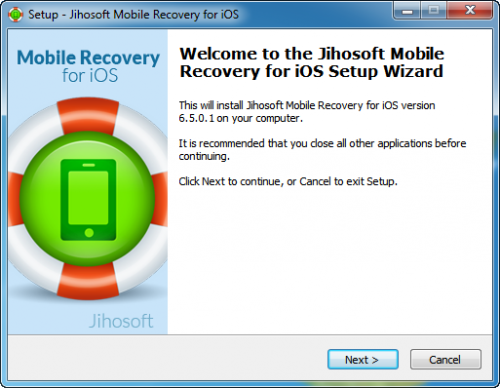 1.Download the Free iPhone Recovery installation package to your computer. 2.Double-click to open the .exe file you just downloaded, click “Next” and accept the agreement. Then follow its instructions to complete the installation. Method 1: Click Windows “Start” menu in the lower-left corner of your desktop and move to “All Programs”. Then find the “Gihosoft iPhone Data Recovery” folder and expand it. 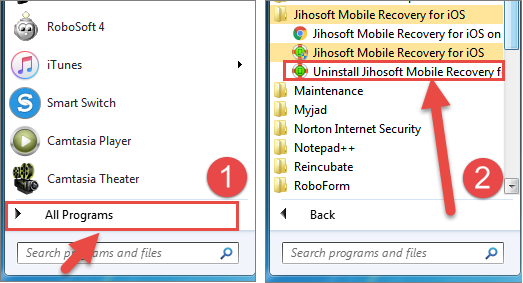 Last, select the uninstallation option to remove the software. Method 2: Open the “Control Panel” of your computer through the “Start” menu and click on “Uninstall a program”. 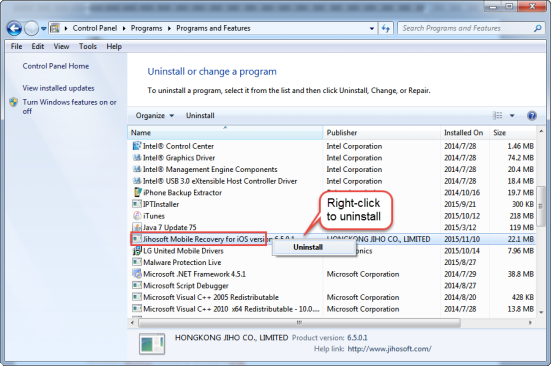 Then locate the “Gihosoft iPhone Data Recovery” and right-click to completely uninstall it.